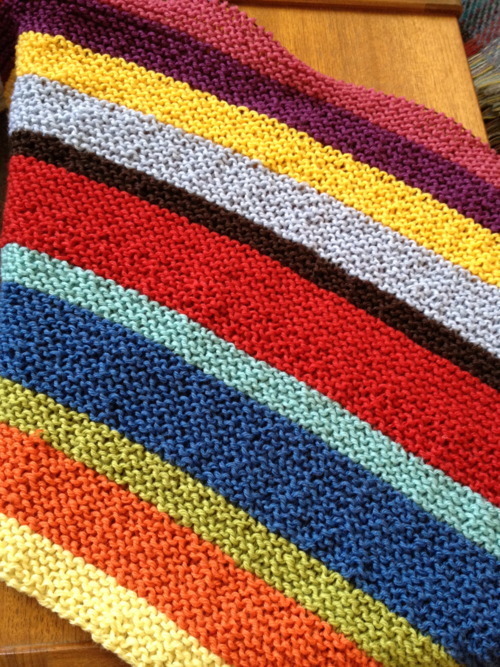 The stripeyness is a blanket-in-progress for my brother and SIL’s baby, due very soon. There’s very little on the way for Baby D as of yet, apart from a cardie I kind of screwed up. What can I say, garments are not my forte. There’s been lots of nesting around here. Major house reorganisations, including some grown-up decisions about how best to adjust (the house, god knows how we’ll fare) to having a little person around here. More details on those soon. When they’re finished. Pregnancy has treated me pretty well so far, up until about forty-eight hours ago. Then odema, heartburn, headaches and god know what else decided to descend simultaneously. Oh, wait, I do know what else. A bit of my molar fell off.